Mercury conjunct Midheaven in the natal chart gives a piercing intellect and communication skills that are well above average. You see everything and see it very clearly. You are generally unbiased and like sharing your perception of the world. Making sense of complex ideas and communicating them in an educational or entertaining style is a major part of your role in life. You should also like socializing and the more interaction you have with others the better. You can become restless or anxious with nothing to do, so you are always seeking mental stimulation and exciting experiences. A tendency to become easily distracted could mean you have some difficulty focusing on one particular subject at a time. However, the Internet suits your style of learning and research and you can quickly find the information you need. Perhaps you should bookmark pages where you start so you can remember and comeback to your original line of questioning. When communicating with others it is important to use your heart as well as your head. You have the potential to become overly intellectual and less intimate, unless you have a well placed Moon or Venus. Your superior communication skills and quick wit will help you advance in your career. You would excel in the media and entertainment industries as anything from a news reader to a journalist or comedian. Other roles specific to Mercury include business, commerce, economics, primary and secondary education, transport, administration, secretary or clerical work, analytics, cashier, taxation, negotiator, promotions, telephone sales and sales work in general. 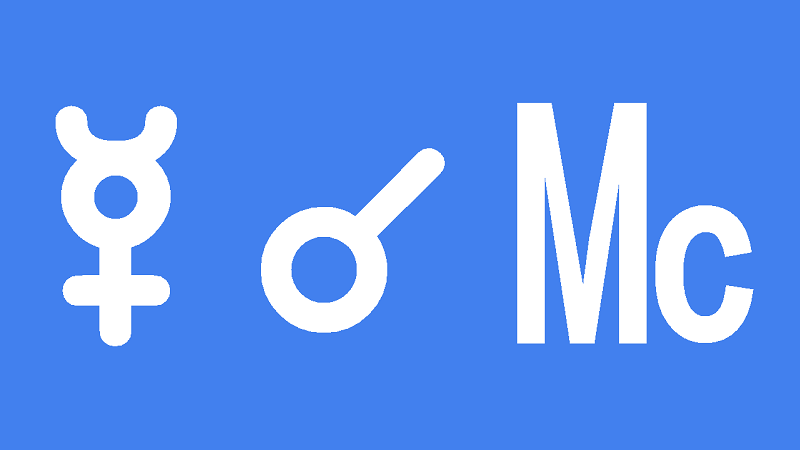 Mercury conjunct Midheaven transit focuses your attention on your career, social life and public profile. You may receive important news about these areas of your life. or you may have something important to announce or discuss. The Midheaven also rules your reputation, so you may be the subject of group discussion or public comment. Your name could appear in the media, including print, TV, radio or social media on the Internet. Expect to be kept busy with extra correspondence, meetings and short trips around town. You can count on good communication skills and quick reflexes to keep you from becoming overwhelmed or stressed by all the mental activity. You should actually have acute perception and clear thinking which is ideal for processing large amounts of information and making sense of it all. So this is the perfect time to think about your future, to make plans, discuss, adjust and share them. This is a good time to start important negotiations or give a presentation at work or in public. It’s also a good time to announce your intentions to a large number or people or to a superior, parent or other important person. Write and send important letters or emails and make important phone calls that you have put off. You could also take this opportunity to place an advertisement , ask for a raise or promotion or apply for work. Robin William 0°09′, Josephine Baker 0°23′, Nathalie Van Parys 0°24′, Henry Winkler 0°47′, Courtney Love 1°24′, Jack Layton 1°26′, Terri Irwin 1°35′, Nancy Reagan 1°43′, Robert Altman 1°50′, Franz Schubert 1°51′, Harrison Ford 2°02′, Nostradamus 2°39′. If I don’t include date it means the timing of these transits is different for everyone.